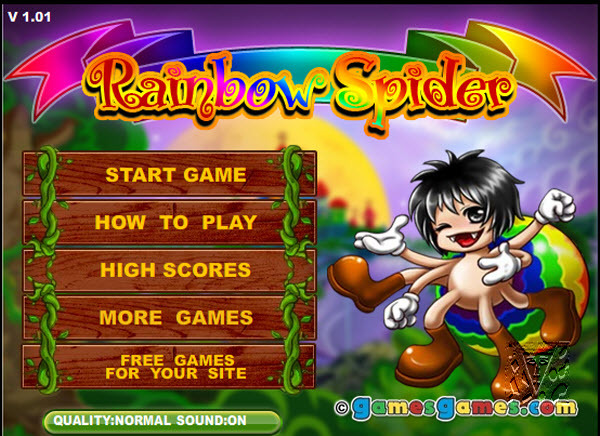 Description: The Rainbow Spider journeys through a magical world. How far can you take him? How to play: Click with the left mouse button on objects to shoot your spider web at it. Collect coins for more points. Collect small rainbows to get the Rainbow web power!